Listening to Germany's A Cosmic Trail you'd think there would be more personnel in the band then simply the five guys below. Their second album II - Mistral, another album of instrumental progressive rock, has a rather large, rich, sound. A Cosmic Trail:: cramped quarters. Between the skillful musicianship and arrangements, ACT creates some rather clever and enjoyable melodic prog rock. Perhaps the best thing about their compositions is that you're not sure what direction the music will take. It's not that any of the music here is overtly complex or unconventional, nor is the band trying to be ambiguous. Their interest seems to be taking the musical parts and arranging them into a larger landscape of sound, one that's rich and diverse, sometimes atmospheric and haunting. An interesting example is Thwart Progress, a basically heavy number at the start that fits the title. But midpoint, it mellows in contrast to the preceding and the feel of the title. A Ghostly Whisper has the haunting characteristic where in the quieter moments keyboards create the 'whispers' for your ears. The title track comes in two parts. They're nearly contrasting, with the first part more atmospheric, and the latter more intense. 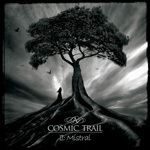 Say what you will about instrumental progressive rock (as many music lovers, even prog fans, steer away from it), A Cosmic Trail has some real talent and creativity, and II - Mistral is fine and entertaining spin. Easily recommended. 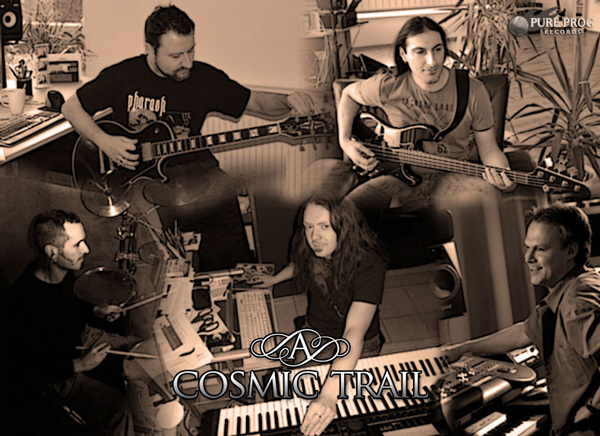 A Cosmic Trail's II Mistral is a creative, clever, and entertaining album of instrumental melodic progressive rock that keeps interested from start to finish.